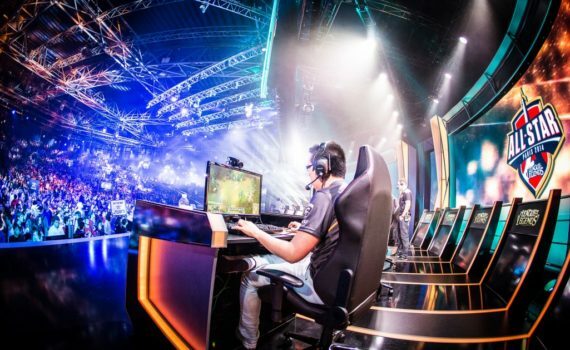 A gaming tournament that is aiming to be the “Olympics of e-sports” was showcased at the Rio Games on Monday 15th, with participants able to win medals instead of prize money, reported CNBC. E-sports refers to competitive gaming where teams or individual gamers play each other while other people watch in stadiums or online. The International eGames Group, a company backed by the U.K. government, is hosting the games which will debut in Pyeongchang, South Korea in 2018, where the Winter Olympics takes place. It will be a medals-only competition with players having the chance to take home gold for their country. Each country will have a national squad playing in teams or as individuals for different games. National qualifiers will be held in different countries in 2017 with the finalists meeting in South Korea for the inaugural eGames tournament. In Rio where the Olympics are being held, the International eGames Group organized a two-day competition as a showcase for the games. The games will be streamed globally on Twitch, a company Amazon bought in 2014 for nearly $1 billion. E-sports is a big business with the market set to be worth around $1.23 billion by 2019, according to SuperData Research. There are large tournaments around the world offering big prize money. A tournament called Dota 2 International this weekend had a prize pool of $20 million. But Chester King, the chief executive of the International eGames Group, said the company wanted to start their own Olympics-style tournament, because e-sports was becoming too focused on money. “The reason why we have established what we are doing on the eGames is the fact that we were concerned that e-sports was going too much down the poker route, it was all about money rather than national pride,” King told CNBC in an interview on Monday. The International eGames Group was set up to manage the commercial and sponsorship rights on behalf of the International eGames Committee (IEGC), which is organizing the tournament in South Korea. E-sports has been able to draw a millennial audience, a potentially lucrative audience for advertisers. King said he is looking for sponsors for the South Korea tournament and e-sports could attract big names. “The growth is amazing at the moment and what’s interesting is there are a lot of brands getting into e-sports particularly because it’s the hard to reach demographic of children or people aged between 12 to 24 that aren’t actually watching TV anymore,” King said. Big businesses are betting in e-sports being a huge area of growth. Last week, Microsoft bought a video game streaming service called Beam and companies such as Intel are sponsors of major global e-sports tournaments.